Here are your FULL MOON in GEMINI Forecast videos for Thanksgiving! On Thanksgiving this year, the Moon is very bright and nearly full, giving a light, social atmosphere. Perfect, right? The Moon is completely full on November 23rd, the day after Thanksgiving. In these videos (VIDEOS with TIMESTAMPS BELOW), Neeshee Pandit and I discuss the implications of the GIVING Full Moon in Gemini for each zodiac sign. Neeshee brings his knowledge of Ayurveda, the traditional medicine of India, as well as astrology. The Full Moon in the 2nd house is the critical house for the Full Moon. 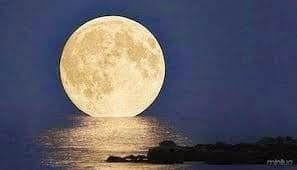 The Moon is full in the 2nd house only once a year. This month, the Full Moon in Gemini is in the critical 2nd house for Taurus Rising people. The Moon’s job is to get our personal needs met. The 2nd house represents our resources, close friends and family. When the full Moon transits through the 2nd house, we can see clearly if we are getting our personal needs fulfilled or not. If we are not, then we can see more clearly how we CAN get them satisfied. When the Moon is Full in the 2nd house the following year, we can see if we have learned more about asking for what we want, saying ‘no’ to what we don’t want, and negotiating. ‘Adulting,’ in other words! The book, Money: Master the Game by Tony Robbins because Jupiter, the planet of wealth, is in Sagittarius. Jupiter is activating the 2nd house of wealth specifically for Scorpio, Aquarius, Taurus, and Leo Rising signs. Happy Thanksgiving and enjoy the Full Moon in Gemini! For a woman, Jupiter is your HUSBAND. Jupiter is strong in Sagittarius for the next year, and more able to produce a husband for you. For Gemini rising people especially. I’m offering a FREE Relationship Capacity Report and FREE Compatibility Report with the Ready-for-Love Consultation until mid-January 2019. Normally, they are $14.95 each, so you save $29.90.